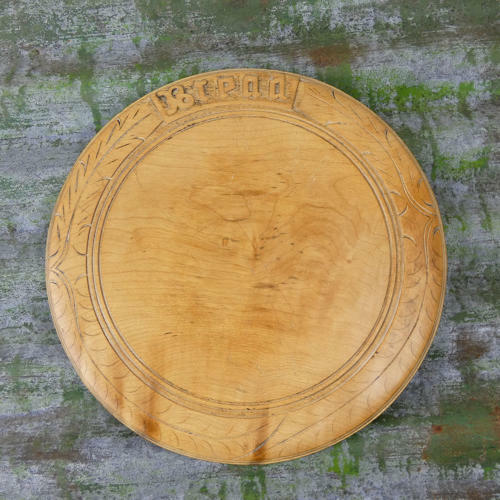 A Victorian, beechwood breadboard carved with the word ‘Bread’. This board dates from c.1880. The wording is quite well carved and the rest of the border is lightly carved with stylised leaves. There are a couple of long scratches across the centre of the board, and there is some very slight staining but, overall, it is in excellent condition and the wood has a good rich patina.